Grace Evangelical Lutheran Church of Kitchener, Ontario, is a congregation of believers in Jesus Christ, the Son of God, redeemed by His blood, gathered by his Holy Spirit through the Gospel, to live to the glory and praise of God our Father in heaven. As indicated in our name, we are a conservative and confessional Lutheran congregation where the grace of God is the centre of everything. This means that the first and central concern in the life of our parish is the Gospel, the good news that we sinners who deserve death and God’s just condemnation are by God’s grace freely forgiven and given the new life won for us by Jesus Christ, our Blessed Lord and Saviour, which we receive by faith alone. We believe that Jesus Christ is truly God Who became incarnate as a true human being, and Who has reconciled us and all sinners to God through His perfect life, His sacrificial death, and His glorious resurrection. The revelation of this Divine Love for us and the bestowal of Christ’s saving benefits are given to us by the Holy Spirit at work through the Word of God and the blessed Sacraments of Baptism, the Lord’s Supper, and Holy Absolution. Through these gracious means, faith and Life in Christ within us is created and sustained whereby His forgiveness and salvation is received and we are empowered to lead godly lives of service to each other and to the world. 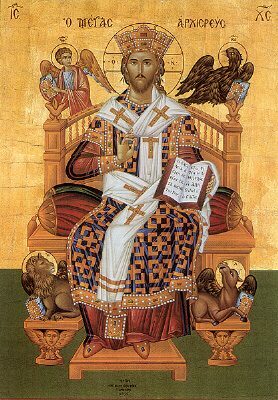 We are also a confessional body of believers, a voice within Christendom giving witness to the true faith of the catholic, orthodox and universal church. 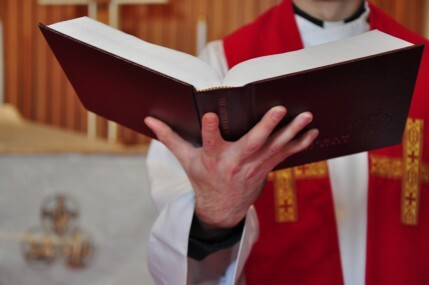 We accept and profess the Ecumenical Creeds (Apostles’, Nicene, and Athanasian) and the evangelical Lutheran statements of faith contained in the Book of Concord of 1580 A.D. (The Augsburg Confession, The Apology of the Augsburg Confession, The Small Catechism, The Large Catechism, the Smalcald Articles, the Treatise on the Authority and Primacy of the Pope, and the Formula of Concord). We believe that these creeds and confessions are based solidly on the Holy Scriptures, the written Word of God, the only source and norm of Christian doctrine, and are a true exposition of that Word. We are a member of the Lutheran Church – Canada, a Synod of 320 congregations in Canada (in communion with the Lutheran Church – Missouri Synod in the U.S.A). Our congregation was founded in A.D. 1944, and it is the fervent desire of Grace Lutheran Church to grow in the grace of our Lord Jesus Christ, to witness to His redeeming love for all, and to serve our God and our neighbours with works of Christian love. The Sunday Divine Services are the focal point of the parish’s life together, where Christ Himself serves His people through the preaching of His Gospel and administration of His Sacraments. Thus nourished by Christ, His people offer Him their prayers, praise, and thanksgiving, and go forth into the world to give testimony to Him. All other activities of the congregation likewise revolve around Christ’s Gospel, to the sole glory of the holy and blessed Triune God, Father, Son, and Holy Spirit.